It is with great sadness that the College has learned of the death of its former president David Sanger. David was both an internationally renowned concert organist and a highly regarded teacher. A College member since he was 15 years old, he served as President from 2008 until his resignation early last week. David was educated at Eltham College and the Royal Academy of Music, and became well known as an organ recitalist when he won First Prize in two international competitions: St Alban's, England in 1969 and Kiel, Germany in 1972. As well as his many teaching roles, he toured the world extensively as a recitalist. His many high profile recitals in the British Isles included the BBC Proms at the Royal Albert Hall, The Royal Festival Hall, the City of London Festival, the Bath Festival, the Chester Festival, the West-Riding Cathedrals' Festival, and many similar occasions. As a recording artist he made over 20 CDs, including the complete organ works of CÃ©sar Franck at the Katarina Church in Stockholm (before the fire) for BIS, and Vierne's Six Organ Symphonies for Meridian. He acted as consultant on a number of organ projects, including the new CavaillÃ©-Coll style instrument at Exeter College, Oxford, and new, restored or rebuilt organ projects at Bromley Parish Church, Haileybury College, St Cuthbert's, Edinburgh, Usher Hall, Edinburgh, Sheffield Cathedral and Trinity Hall, Cambridge. David also composed music for organ, as well as for strings and choirs. The College offers its condolences to Davidâ€™s family and friends. 3/6/10: David's family has informed us that there will be a private funeral and reception for family and local people from around Embleton who knew David. David requested that there should be no gifts. A celebration of David's life will take place later in the year. 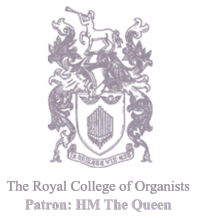 You can follow news & updates from RCO via our Twitter and Facebook accounts, or via an RSS feed.